This amazing home is located in beautiful Calhan, CO, minutes from Colorado Springs, Schriever AFB, Peyton and Falcon. 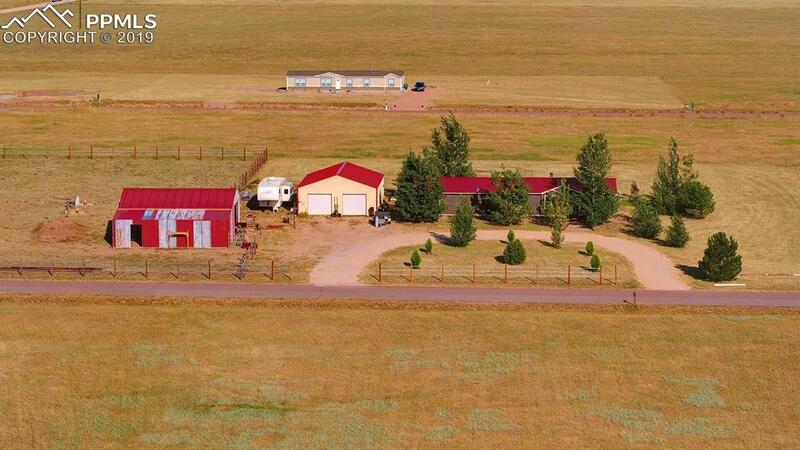 Enjoy 2.54 acres of breathtaking views of country pastures and Colorado Mountains. This property allows for horses which includes a barn (42 X 40) and a partially fenced yard for your horses to roam, exercise and provides covered protection for your furry loved ones. This large HUD Standard Manufactured home includes 4 bedrooms, 2 baths, 2 living-rooms and a huge kitchen. Enjoy your wood fireplace in the spacious, open floor plan which walks out to a large deck area to enjoy those peaceful quiet nights. The 2 car garage is approximately 30 X 40 to include a big workshop towards the back. Propane tank is rented through Edison Propane and water is through Ellicott Utility Company. A must see, bring your Buyer's Today!